ProTech Data offers the industry's best guarantee for service and performance! Our 100% Guarantee on everything from desktop support to network security. If you are ever dissatisfied with our service call and let us know. We will work with you to correct or repeat the service at no additional charge. If this still does not resolve the issue, we will refund 100% of the money you've paid us. All we ask is that you notify us within 72 hours of the unsatisfactory service. Technical support on-site and remote are offered from 8am - 8pm Mon - Fri, and Premium after hours and weekend support are 24/7. 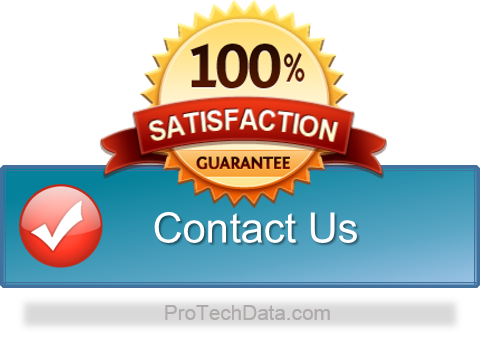 You'll notice that ProTech Data will not hide behind small print, legal-ease, or other weasel clauses in our guarantee. That's because we are completely confident in our ability to fix whatever problems you have and make you thrilled that you called us.